Finn McCarthy is at a crossroads. As the lease on his Gansett Island rental comes to an end, he's making plans to return to his “real” life on the mainland. He’s enjoyed the nearly two years on Gansett with his boisterous fun-loving family, but it’s time to get back to the life he put on hold. With renovations to the Wayfarer, the family’s latest business endeavor, all but completed and the grand opening slated for Memorial Day weekend, the time is right to make a move. That is, until he stops by the local salon for a quick trim that turns his life plan upside down. When three female schoolteachers go missing in San Francisco, Detective Lindsay Boxer must unravel the mystery of their disappearance. But what starts as a missing person case quickly escalates to a troubling murder investigation. As pressure at work mounts, Lindsay must rely on her husband, Joe, to support her at home. 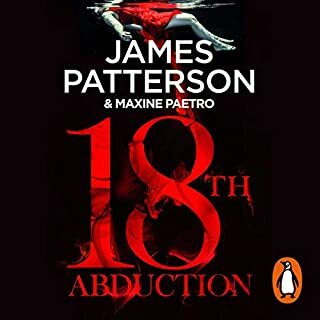 Yet Joe is pursuing a mysterious case himself, as a woman running from her past brings him terrifying information - the notorious war criminal from her Eastern European home country has appeared on the streets of San Francisco. Love is the last thing on Jack Harrington's mind when he sets out to meet Andi Walsh's flight. Recently back to work after spending more than a year tending to his comatose wife, Jack is focused on getting through each day and caring for his three daughters. 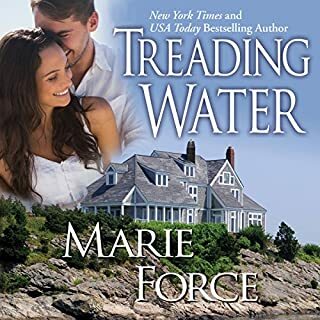 However, the moment he sets eyes on Andrea Walsh, the interior designer who has come to decorate the hotel his company is building in Newport, Rhode Island, Jack begins to wonder if Andi might be his second chance. 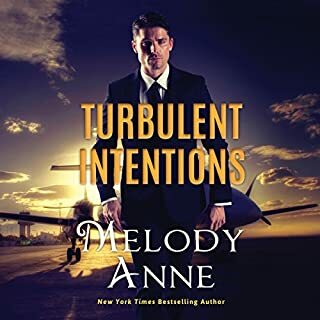 The Armstrong brothers are wealthy, wild-at-heart bad boys - until their father's will demands they prove themselves and marry in order to inherit their fortune. Eldest brother Cooper channels his reckless spirit into becoming CEO of his own airline. The only thing better than the adrenaline rush of flying is his one-night stand with a stunning stranger. At first he doesn't recognize the fiery barista he clashes with years later at an airport coffee shop. Grayson Coleman has just moved home to Butler, Vermont after spending years working for a high-powered law firm in Boston. He's looking for a simpler, less stressful existence in the sleepy little mountain town where he grew up with his siblings and Abbott cousins. Once the holidays are over, he plans to hang out a shingle and open a new general law practice. After helping to raise his seven younger siblings, the last thing on Grayson's mind is a family of his own. It’s the start of the Hollywood on Hudson film festival, and New York City is swept up in the glamour. There’s a red carpet premiere every night; the most exclusive restaurants are filled with wealthy producers and pre-eminent directors; and thousands of fans gather with the paparazzi, hoping to catch a glimpse of the most famous and beautiful faces in the world. 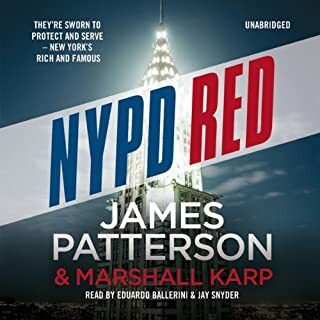 With so many celebrities in town, special task force NYPD Red is on high alert - and it can’t afford to make a single mistake. 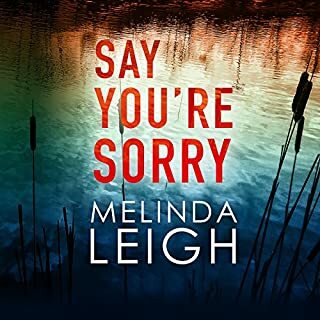 When tragedy strikes, a cold case suddenly turns hot - and deadly. A peaceful morning is shattered when Washington Metro Police Lieutenant Sam Holland’s beloved father succumbs to injuries from an unsolved shooting while on duty four years ago. As the community rallies around Sam and her family, one thing becomes crystal clear: Her father’s death has turned the unsolved case into a homicide - and it’s on her to bring her father’s killer to justice. I've listened to all of the books in this series and this is by far the best one yet! 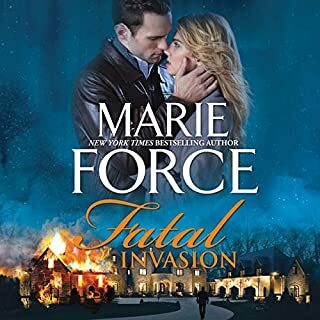 I so look forward to each of the books in the Fatal series. They get better with each one. This one had me crying from the first chapter and I'm so glad it answered a lot of questions that have been a continuing theme in the series. Can't wait for the next one!!! 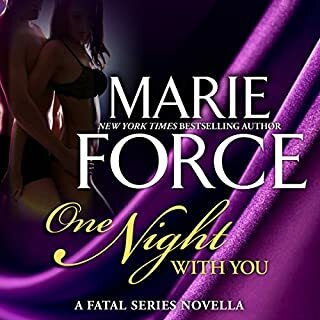 Thanks Marie Force. Just what I expect from Marie Force. Another good story in the "Fatal" series. Wrapped up a bunch of loose ends in an interesting and satisfying way. I'm looking forward to seeing what's gonna happen.next. A rollercoaster of emotions! The narrator, Eva Kaminsky had me gasping, smiling and sobbing. Marie Force has another winner! There is usually not much said about the narrators but Eva Kaminsky is the Queen of Narration!! She can make you want to hear more of anything she reads. loved it. also love the narrator. ready for the next one. one of my very favorite authors. listen to a book, but this one brought back so many emotions of when my own daddy died that I cried pretty much throughout the whole thing. Finally, after years of trying to solve the mystery of the shooting that left Skip paralyzed and ultimately his death, we have the answer. Wow, I was surprised!!!!!! Thank you, Marie, for the many enjoyable years of following the story of Nick and Sam. I look forward to reading more about them, Scotty, the Littles and all of their extended family and friends. I was so sorry to hear of the passing of your dad. Mine has been gone for 34 years and I still miss him everyday. I have read all thisseries. Best author. best narrator. Best read. You will love it. I was late learning about Marie Force but now that I am here I am not leaving her camp. I have enjoyed this series so much and couldn't wait to find out who shot Skip and why. Marie grabs you and won't let go, this was such a tearjerker and oh so emotional. Can't say enough about this series and this book, can't wait for the next in this series. 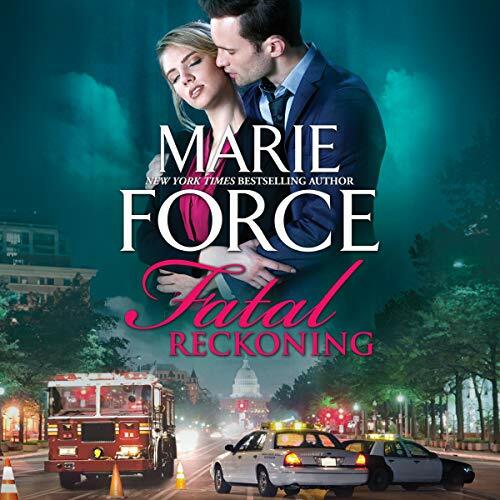 Marie Force has written another wonderful book in the Fatal Series. When Sam's father unexpectedly dies, his unsolved shooting changes to a homicide case. Now Sam's detectives are looking at the information again to bring a killer to justice. I cried through the first few chapters because of Skip's death and the honor bestowed upon him from the Police Departments across the country. There certainly a lot of twists and turns in the case. I love the way Nick is there to support Sam in whatever way she needs him. They've just recently taken in twins who have lost their parents and people are making a big deal about the expense for Secret Service for them. Nick and Sam have to deal with that along with everything else. Scotty certainly is growing into a wonderful person because of the love and support of Nick and Sam. We get to catch up with other people in Nick and Sam's lives, too. 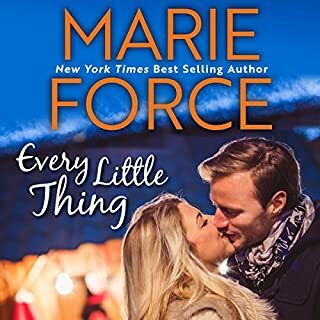 I don't know how Marie Force finished the book after the unexpected death of her own father, but I'm certainly glad that she did. 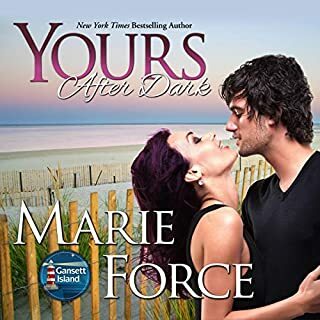 Marie Force writes such wonderful stories and I can't wait for the next book in the series. As usual, Eva Kaminsky does a wonderful narration of the book. I don't usually write a review to anything (coz im not good at it & im embarass that i dont know how) but after listening to this book I feel like it will be a disservice for the author and narrator not to. 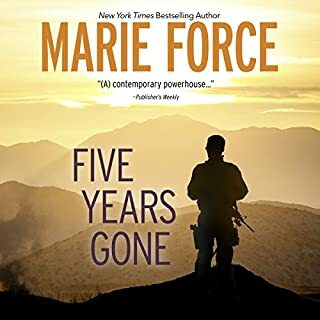 Miss Force made a very wonderful job writing this very emotional rollercoaster of a novel and Miss Kaminsky did it justice in bringing all the emotion in her narrating. I was crying my heart out from the get go. the scenes are so real that u feel that you are in it, I felt the loss of someone so vital to my existence. I love the story line, the twists and turns of it. Once more, Miss Force delivers.